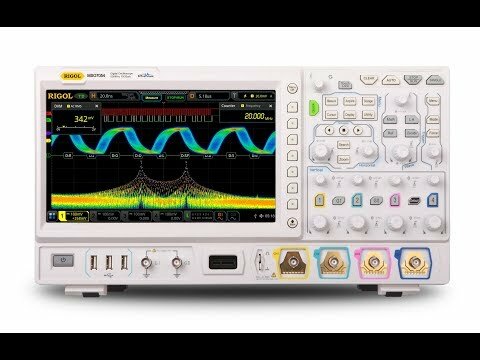 Buy this Rigol oscilloscope and get software option DS7000-BND Function & Application Bundle License (including all serial decode options) for FREE! 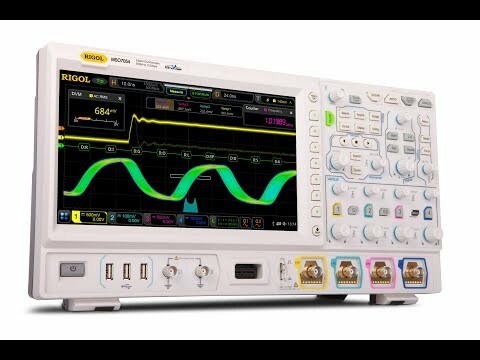 Rigol DS7014 oscilloscope is a multifunctional, high-performance, digital oscilloscope based upon Rigol's new UltraVision II technology. Integrating up to 6-off independent instruments into one, the MSO/DS7000 series offers a high sample rate / bandwidth ratio, high memory depth, clear touch-screen display, excellent waveform capture rate and powerful data analysis functions. Many of its specifications are industry leading. These instruments are expected to be popular for R&D, universities, production, quality control, communications engineering, automotive engineering, aerospace engineering, industrial and power markets. Measures the voltage parameters of the corresponding channel waveforms in XY time base mode. 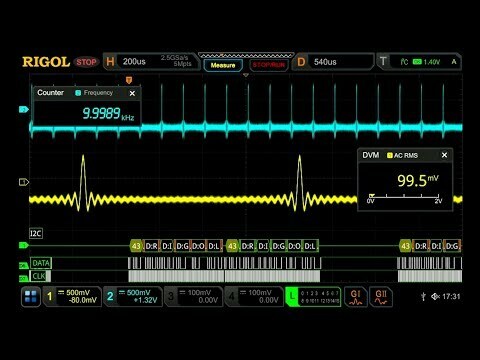 Decode the MISO/MOSI data (4-32 bits) of the SPI bus. The available mode includes "Timeout" and "CS"
Sounds an alarm when the voltage value is within or outside of the limit range. Maximum value. 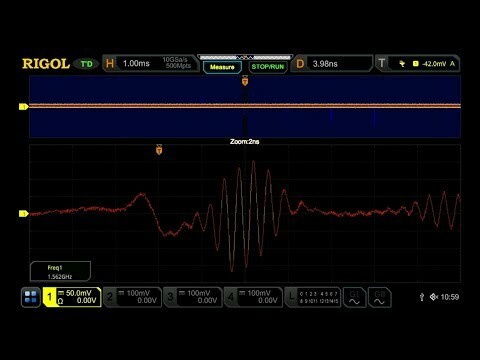 single-channel, 10ns horizontal time-base, input amplitude 4 div, sine wave signal with 10MHz frequency. Others are default settings. 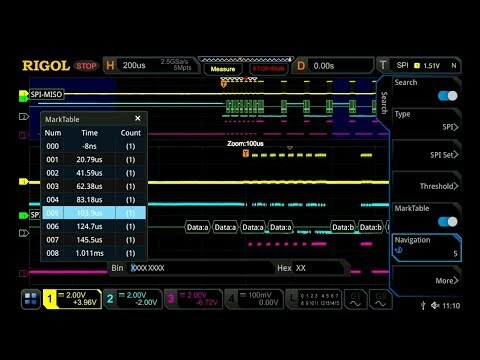 1mV/div and 2mV/div are a magnification of 4mV/div setting. 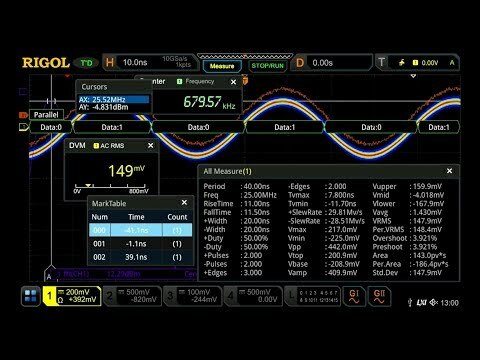 For vertical accuracy calculations, use full scale of 32mV for 1mV/div and 2mV/div sensitivity setting. Supporting legs and handle folded, knob height included, front protective cover excluded.